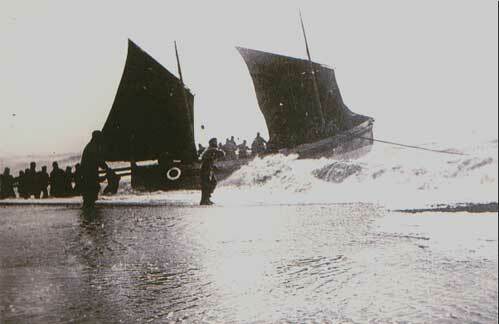 One of the most famous of Southwold’s many lifeboats is the Alfred Corry. The boat’s name is believed to be that of an RNLI benefactor. 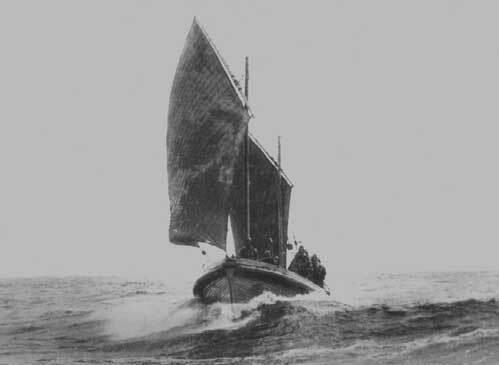 She cost £490 - 7s - 4d to build from wood in 1893, with a further sum of, perhaps, £100-£150 provided by the RNLI for associated equipment. She remained in service until 1918. The Alfred Corry was 44' 01" by 13' 00" ( plus 1' 00" for the fendering, giving a total breadth of 15' 00") . She was powered by sail and 16 oars. Her 17-strong crew would board before launch, the launch being carried out from the beach by a team of launchers assisted by the crew heaving on the "hauling off warp". During her working life, the Alfred Corry responded to 41 emergencies and saved 47 lives. After being decommissioned, the boat went by a number of new names and was eventually abandoned in the mud at Maldon. But in the 1970s, John Cragie discovered and restored the boat for cruising. (The short snippet of film, below, shows John and Doreen Cragie sailing the Alfred Corry out of Southwold Harbour in about 1979.) Fittingly, Cragie is the great grandson of the Corry’s first coxswain. In the past decade a group of dedicated volunteers has been restoring the Alfred Corry close to its original structure as a lifeboat. If you would like to find out more about the history of the lifeboat service and to see the restored Alfred Corry then visit the Alfred Corry Museum at the end of Ferry Road by the harbour mouth. 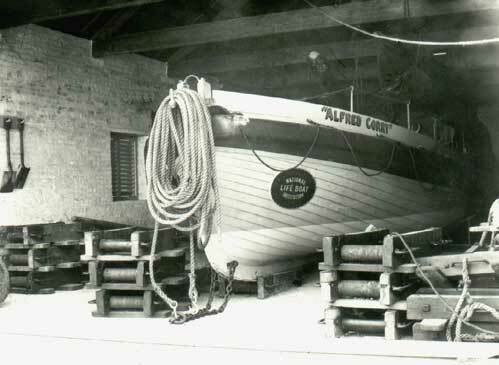 The Alfred Corry has its own website which you can visit here. You may wish to expand this window to view it comfortably.